The offensive, code-named Operation Olive Branch, aims at dislodging the Kurdish People’s Protection Units (YPG) from the Kurdish enclave of Afrin. 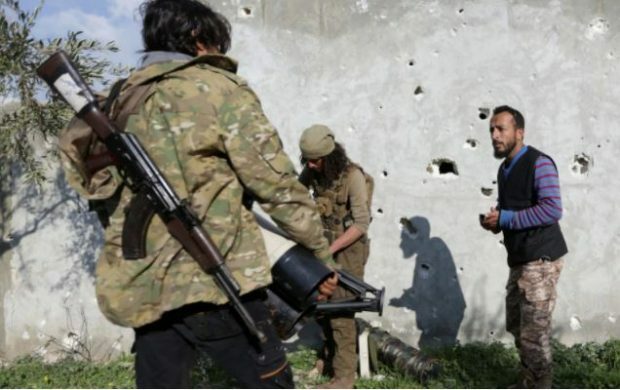 On March 18, Turkish military and allied jihadist rebels took control of Afrin’s city center. Turkey views the YPG as an extension of the Kurdistan Workers’ Party(PKK), an insurgent group that has been fighting for greater Kurdish autonomy in Turkey’s southeast. Backed by the United States, the YPG has been instrumental in the U.S.-led war on terror in Syria since 2014. There are no allies to be had among Muslim nations the world over end of story.